From Rebecca Svab of Oklahoma City, Oklahoma on 2/17/2019 . Super comfortable and soft. Downside, it's not puppy proof from a lil fur monster who gets separation anxiety. Definitely will buy a third one! From Anonymous of Las vegas, Nevada on 12/12/2018 . From Anonymous of Buffalo, New York on 9/5/2018 . 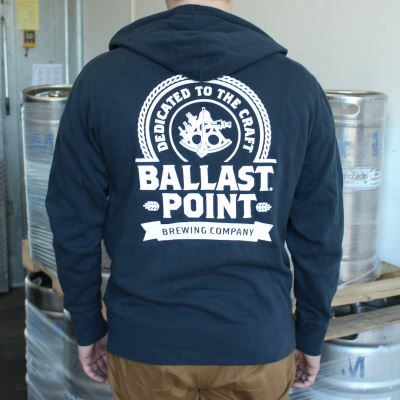 Went to San Diego this past spring but was unable to visit Ballast Point this time around. I bought my boyfriend this hoodie online for his birthday since it's his favorite brewery and he loves it! I had to try it on too of course...it's super soft but still a nice, light hoodie. It shipped very quickly and seems to be in great condition!